Total capacity of the new train will be 500 kilotons MDI per year. Start of production is expected in 2024. The Supervisory Board of Covestro has approved an investment of around $1.7 billion to build a new world-scale MDI plant in Baytown, Texas. Covestro accelerates its investment activities to capitalize on the strong MDI market growth. The Supervisory Board of Covestro has approved an investment of around $1.7 billion to build a new world-scale MDI plant in Baytown, Texas. This investment at the existing site in Baytown is the largest single investment in the history of the company. Total capacity of the new train will be 500 kilotons MDI per year. Start of production is expected in 2024. At the same time an older, less efficient MDI unit of 90 kilotons production capacity will be closed. Thus, total MDI capacities of Covestro in the NAFTA region will reach around 740 kilotons per year making Covestro the industry capacity leader in the region by 2024. With that, Covestro also will strongly underline its global industry capacity leadership position. "Demand for innovative MDI materials will continue to grow for the foreseeable future and likewise promises attractive capacity utilization rates. We have already announced a significant increase in capital expenditures, now it's time to put it into action", said CEO Dr. Markus Steilemann. 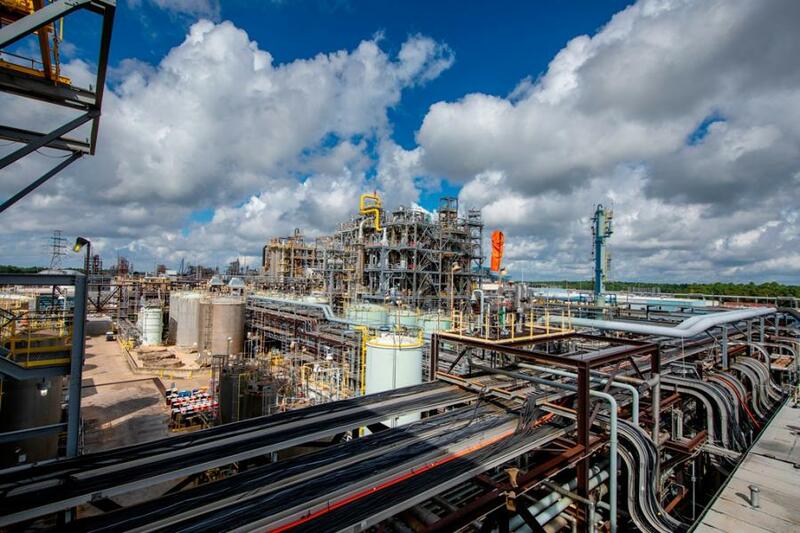 "With the new MDI train in Baytown, we will further strengthen our global leading position in Polyurethanes, even better serve our customers and create long-term shareholder value." The global MDI market is expected to grow by about 5 percent per year in the long-term, outgrowing the world's global domestic product (GDP) by about 2 percentage points. Key MDI market drivers include the substitution of less performing and less sustainable materials as well as global megatrends such as an increasing demand for energy efficient insulation solutions. Although Covestro is already doubling its MDI production capacity in Brunsbuettel, Germany, from 200 to 400 kilotons per year in the second half of 2019, the strong growth in demand creates further significant market opportunities. Therefore, the investments — which are part of the already announced investment increase of up to $1.35 billion per year for the next three years — will help Covestro to maintain and strengthen its leading position and support further profitable growth. Moreover, Covestro aims at further capitalizing on its technical and innovation capabilities as well as on its leading cost position. With its global MDI investment program Covestro follows a cost-effective CAPEX approach by leveraging existing infrastructure and supply networks to achieve lower specific investments and higher ROCE (return on capital employed). The program also includes the continuation and expansion of Covestro's Tarragona, Spain, and Caojing, China, sites as well as investments into the company's production site in Antwerp, Belgium. The decision to build the new world-scale plant in Baytown was taken following a thorough analysis of different options. Besides the attractiveness of the domestic market, main advantages of Baytown are leading cash costs as well as significant benefits in terms of available infrastructure and logistics. The superior cost position is mainly driven by economies of scale and a high degree of vertical integration. Furthermore, low energy and shipping costs due to high domestic demand in North America add to the Baytown case. With the new plant, Covestro's future MDI capacities in North America of 740 kilotons per year by 2024 also will catch up to the company's future capacities in EMEA (820 kilotons per year by 2022) and APAC (670 kilotons per year by 2021).